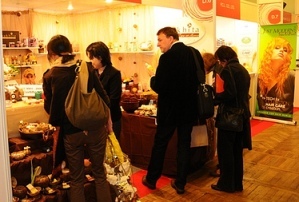 Event is a great place to learn and know about the latest news from aromatherapy and essential oils industry. It's a great place to hang out with your friends or your family. Usually events or trade fair has a lot of sale stuff, foods and kids activity. Sure, you will have a lot of fun there! that you don't wanna miss! You'll get a lot of knowledge when you join these events. Here you can find events that are in your area or you can submit forthcoming event in your area. Don't bother if it is paid or free, small or large, formal or informal events, they are welcome to submit! It's FREE!. If you know the upcoming Aromatherapy events, please submit here. date, location, and a description of the event. If this event has a website, include the URL as well.